Tomorrow is June 16th, the day in 1904 that the events of James Joyce’s novel Ulysses take place and when Joycean’s all over the world will be celebrating Bloomsday! Joyce was an Irish novelist and poet, born in Dublin in 1882. He earned a BA from UCD with a focus on modern languages (he was conversant in 17 including Arabic and Norwegian! ); met and married Galway woman Nora Barnacle with whom he left Ireland in 1904 for Europe – where they lived until Joyce’s death in Switzerland in 1941. 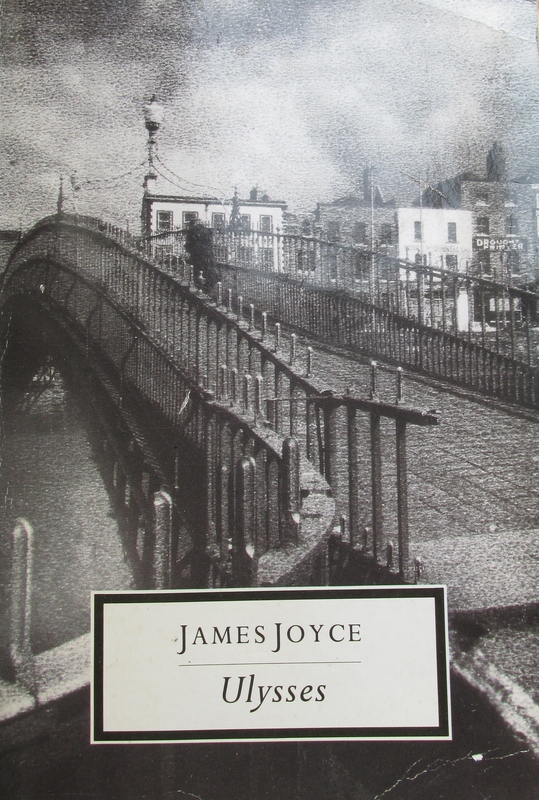 His best known works are the early short story collection Dubliners; A Portrait Of The Artist As A Young Man; the play Exiles and poetry collections Chamber Music, Gas From A Burner and Ecce Puer. …I love flowers I’d love to have the whole place swimming in roses God of heaven there’s nothing like nature the wild mountains then the sea and the waves rushing then the beautiful country with fields of oats and wheat and all kinds of things and all the fine cattle going about that would do your heart good to see rivers and lakes and flowers all sorts of shapes and smells and colours springing up even out of the ditches primroses and violets nature it is as for them saying there’s no God I wouldn’t give a snap of my two fingers for all their learning why don’t they go and create something I often asked him atheists or whatever they call themselves go and wash the cobbles off themselves first then they go howling for the priest and they dying and why why because they’re afraid of hell on account of their bad conscience ah yes I know them well who was the first person in the universe before there was anybody that made it all who ah that they don’t know neither do I so there you are they might as well try to stop the sun from rising tomorrow the sun shines for you he said the day we were lying among the rhododendrons on Howth head in the grey tweed suit and his straw hat the day I got him to propose to me yes first I gave him the bit of seedcake out of my mouth and it was leapyear like now yes 16 years ago my God after that long kiss I near lost my breath yes he said I was a flower of the mountain yes so we are flowers all a womans body yes that was one true thing he said in his life and the sun shines for you today yes that was why I liked him because I saw he understood or felt what a woman is and I knew I could always get round him and I gave him all the pleasure I could leading him on till he asked me to say yes and I wouldnt answer first only looked out over the sea and the sky I was thinking of so many things he didnt know of Mulvey and Mr Stanhope and Hester and father and old captain Groves and the sailors playing all birds fly and I say stoop and washing up dishes they called it on the pier and the sentry in front of the governors house with the thing round his white helmet poor devil half roasted and the Spanish girls laughing in their shawls and their tall combs and the auctions in the morning the Greeks and the jews and the Arabs and the devil knows who else from all the ends of Europe and Duke street and the fowl market all clucking outside Larby Sharons and the poor donkeys slipping half asleep and the vague fellows in the cloaks asleep in the shade on the steps and the big wheels of the carts of the bulls and the old castle thousands of years old yes and those handsome Moors all in white and turbans like kings asking you to sit down in their little bit of a shop and Ronda with the old windows of the posadas 2 glancing eyes a lattice hid for her lover to kiss the iron and the wineshops half open at night and the castanets and the night we missed the boat at Algeciras the watchman going about serene with his lamp and O that awful deepdown torrent O and the sea the sea crimson sometimes like fire and the glorious sunsets and the figtrees in the Alameda gardens yes and all the queer little streets and the pink and blue and yellow houses and the rosegardens and the jessamine and geraniums and cactuses and Gibraltar as a girl where I was a Flower of the mountain yes when I put the rose in my hair like the Andalusian girls used or shall I wear a red yes and how he kissed me under the Moorish wall and I thought well as well him as another and then I asked him with my eyes to ask again yes and then he asked me would I yes to say yes my mountain flower and first I put my arms around him yes and drew him down to me so he could feel my breasts all perfume yes and his heart was going like mad and yes I said yes I will Yes.